Lucerne, 27 August 2014 – In the first half of 2014, Emmi achieved sales of CHF 1,625 million – an increase of 3.7 %, which is in line with forecasts. Its earnings before interest and taxes (EBIT) amounted to CHF 39.8 million (-41.0 %), with a net profit of CHF 9.8 million (-76.1 %). These fell as a consequence of an impairment of CHF 38.5 million on Trentinalatte in Italy that was prompted by the challenging local yoghurt market. Adjusted for non-recurring effects, earnings rose significantly: EBIT by 14.3 % to CHF 74.3 million and net profit by 15.9 % to CHF 45.2 million. Emmi will continue to pursue its international strategy and grow both organically and through targeted acquisitions. One example of this is its increased stake in Gläserne Molkerei in Germany, which has gone up from 24 % to 76 %. Emmi confirms its sales forecast for 2014 (3 % to 4 % Group growth) and adjusts EBIT and net profit forecasts as a consequence of the impairment in Italy. In the first half of 2014, Emmi reported Group-wide sales of CHF 1,624.9 million, which represents 3.7 % growth despite the negative currency effect of -1.7 % (previous year: CHF 1,566.6 million). Emmi achieved sound growth in its home market of Switzerland, as well as in the US, Spain, Chile and Tunisia. In organic terms, i.e. adjusted for acquisitions and in local currency, this resulted in Group-wide growth of 4.1 %. International sales increased by 7.1 % (organically by 8.4 %) to CHF 724.0 million, so sales performance is in line with the plan announced in the spring. The acquisition effects are attributable to the acquisitions of Käserei Studer (Switzerland) and Rachelli (Italy) and also to the sale of the stake in Nutrifrais (Switzerland). The difficult economic situation in Italy and the unsatisfactory business trend for the yogurt market required impairments on Trentinalatte totalling CHF 38.5 million in the reporting period. This non-recurring effect had a negative impact on the income statement. Urs Riedener, CEO of Emmi, says: "The difficult situation in Italy made the impairment unavoidable. It's regrettable, but it does reflect Emmi’s intention to take action rather than simply sit and wait for disagreeable situations to go away. The increases in sales, adjusted EBIT and net profit are encouraging. They are evidence that our strategy has put us on the right track and we will continue to pursue it with determination." As announced in the autumn of 2013, Emmi's new organisation was rolled out with effect from 1 January 2014. It is based on four business divisions – Switzerland, Americas, Europe and Global Trade. In consequence, Emmi will report sales in accordance with this new structure. Sales growth in Switzerland was in line with Emmi’s expectations. Sales amounting to CHF 900.9 million (previous year: CHF 890.5 m) were achieved, representing 1.2 % growth. In organic terms, i.e. adjusted for acquisition effects, growth amounted to 0.9 %. A positive acquisition effect came from the acquisition of Käserei Studer AG with effect from 1 July 2013, while a negative effect resulted from the disposal of the Nutrifrais holding with effect from 1 April 2013. The dairy products, cheese, fresh products, fresh cheese and powder/concentrates segments all recorded organic growth, to which Kaltbach cheese, Le Gruyère AOP and Le Petit Chevrier goat’s cheese made positive contributions. Emmi Caffè Latte also achieved dynamic growth, and Emmi Chai Latte, Emmi Swiss Pure Yogurt and mozzarella provided further positive boosts. Sales of other drinks, the wellbeing products, Emmentaler AOP and of products not manufactured or matured by Emmi were below expectations. Sales figures were also impacted by the abandonment of the frozen foods logistics business (other products and services). The business division Switzerland accounted for 55.5 % of total Group sales (previous year: 56.8 %). Americas includes not only the US, Canada and Chile, but also Spain, France and Tunisia. This is due to the fact that Kaiku’s various markets should be allocated to the same division. In the first half of 2014, sales in this business division rose by 4.0 % to CHF 408.2 million (previous year: CHF 392.7 million). In organic terms and without currency effects, this resulted in an increase of 10.7 %. Negative currency effects are primarily attributable to the Canadian, Tunisian and Chilean markets, and hence affect primarily local production, i.e. there are falls in both sales and production and operating expenses. All segments posted organic sales growth in the first half of 2014. Growth in Tunisia, Chile, Spain and the USA had a positive impact. Cow’s and goat’s milk cheeses made in the USA sold well, while sales of AOP cheese fell in response to price increases. The growth of Kaiku’s lactose-free segment in Spain and Chile, the positive performance of yoghurt in Tunisia (with a consequent improvement in the product portfolio), and the good figures achieved by Emmi Caffè Latte in Spain were highlights. The business division accounted for 25.1 % of total Group sales (previous year: 25.1 %). Europe includes the markets of Benelux, Germany, the UK, Italy and Austria. Sales rose by 9.2 % to CHF 233.9 million (previous year: CHF 214.1 million). Excluding acquisition and currency effects, there was a slight growth in sales of 0.9 % year-on-year. The acquisition effect is attributable to the purchase of the Italian dessert manufacturer Rachelli in August 2013. The growth in sales of Emmi Caffè Latte, particularly in Austria and the UK, the performance of the A-27 desserts and that of the Kaltbach and Käserei Studer speciality cheeses had a positive effect. However, sales figures for yogurt in Italy and Germany went down, as did those for exported AOP cheese, with reduced sales of the latter resulting from price increases. This was particularly the case with Emmentaler AOP in its most important export market, Italy. The business division Europe accounted for 14.4 % of total Group sales (previous year: 13.7 %). Global Trade covers direct sales from Switzerland to customers in international markets, mainly in countries where Emmi has no companies or holdings. These include the Asian and Eastern European markets, as well as certain South American countries such as Brazil. The smallest division by far saw its sales increase to CHF 81.9 million in the first half of the year. Compared with CHF 69.3 million year-on-year, this represents an increase of 18.1 %. The marked rise in sales of CHF 10.7 million in powder/concentrates is the result of higher milk collection and the associated increase in milk powder exports to decrease pressure. If these were to be discounted, the division's growth figure would be 5.5 %. Global Trade accounted for 5.0 % of total Group sales (previous year: 4.4 %). In the first half of 2014, gross profit rose by 3.7 % to CHF 540.4 million (previous year: CHF 521.1 million). Despite ongoing pressure on prices, the gross profit margin was held at the previous year's figure of 33.3 %. This was in particular due to the successful implementation of rationalisation and productivity raising measures as well as the conscious discontinuation of business with insufficient margins. Non-recurring effects in the 2014 half-year results: The difficult economic situation in Italy and the unsatisfactory business trend for the yogurt market necessitated impairments on Trentinalatte totalling CHF 38.5 million in the reporting period. 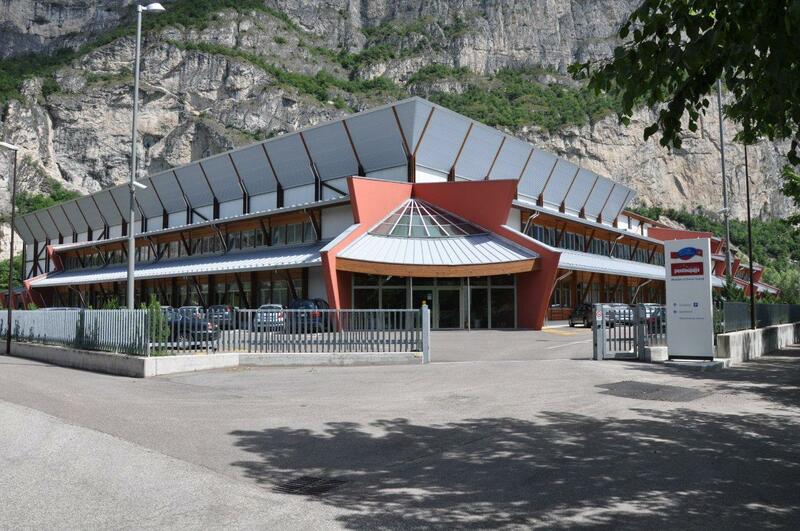 Of this, CHF 35.6 million represented an extraordinary depreciation on property, plant and equipment, while CHF 2.9 million are included in other operating expenses. This effect had a negative impact on the income statement, while disposals of fixed assets, in particular a property in Küssnacht, had a mildly positive effect. Taken together, these two non-recurring effects increased EBITDA by CHF 1.1 million, but significantly reduced EBIT and net profit by CHF 34.5 million and CHF 35.4 million respectively. All options for Trentinalatte's future (continuation, liquidation or sale) are being looked at. Operating earnings before interest, taxes, depreciation and amortisation (EBITDA) adjusted for non-recurring effects rose by 11.2 % from CHF 119.3 million in the first half of 2013 to CHF 132.7 million. The adjusted EBITDA margin was therefore 8.2 % (previous year: 7.6 %). Including non-recurring effects, EBITDA increased to CHF 133.8 million from CHF 121.7 million in the first half of 2013. Adjusted earnings before interest and taxes (EBIT) improved in the first half of 2014 from CHF 65.0 million to CHF 74.3 million, resulting in an adjusted EBIT margin of 4.6 % (previous year: 4,2 %). Taking into account negative non-recurring effects (CHF 34.5 million), EBIT fell to CHF 39.8 million (with an EBIT margin of 2.4 %) from CHF 67.4 million in the same period in the previous year. Adjusted profit including minority interests came to CHF 53.8 million (previous year: CHF 49.2 m). Deduction of minority interests resulted in an adjusted net profit of CHF 45.2 million (previous year: CHF 39.0 million), an increase of 15.9 % that was also reflected in the adjusted net profit margin of 2.8 % (2.5% in the previous year). Taking into account negative non-recurring effects (CHF 35.4 million), net profit was reduced to CHF 9.8 million (previous year: CHF 41.0 million). Emmi does not expect any significant changes in the market situation over 2014 as a whole. In Switzerland, the company expects stable consumption, with retail tourism remaining a significant factor, and continuing import pressures, particularly in the case of generic products. Average commodity prices, including those for milk, in the second half of the year are likely to remain within the parameters of the first half. Milk volumes in Switzerland will remain high, resulting in further exports to decrease pressure. The business division Americas is set to enjoy continued sound growth, although the currencies of such countries as Chile, Tunisia and Canada will remain weak. In the business division Europe, some southern European markets (in particular Italy) will remain under pressure, while consumption in the other markets relevant for Emmi is likely to remain stable. The EBIT forecast announced in the spring (between CHF 155 million and CHF 170 million) has been adjusted to between CHF 117 million and CHF 132 million due to the non-recurring effects already mentioned, and the net profit margin will be around 2 % (previously 3 %). *Adjusted for non-recurring effects. Such effects had an impact of CHF -34.5 million on EBIT and CHF -35,6 million on net profit (first half-year 2013: CHF 2.4 million and CHF 2.0 million respectively). Non-recurring effects in the first half-year 2014 result on the one hand from the extraordinary impairment in Italy and on the other hand from extraordinary gains on the disposal of property, plant and equipment. The non-recurring effects in the same period of 2013 resulted solely from gains on disposal of property, plant and equipment. Emmi purchased a stake in the Gläserne Molkerei, a leading organic milk processor in the northeast of Germany, in 2012. Following positive experiences with the business, the stake is now being increased from 24 % to 76 %, reinforcing Emmi's position in the organic business. Hubert Böhmann, the founder of Gläserne Molkerei, will remain in the company as its Managing Director. Gläserne Molkerei has sites in Münchehofe (Brandenburg) and Dechow (Mecklenburg-Vorpommern). It is a leading organic milk processor in Northeast Germany, with a premium range of milk, cheese and other dairy products. Gläserne Molkerei’s range includes milk, butter, milk powder, cream, yogurt, quark and cheese. The Münchehofe site produces naturally matured organic cheese and organic milk, while organic milk, butter, cream and yogurt are produced in Dechow. Every farmer who supplies organic milk to Gläserne Molkerei belongs to one of the following recognised environmental agricultural associations: Demeter, Bioland, Naturland, Biopark, Gäa or Verbund Ökohöfe. Some farmers are also NOP-certified, meaning that in addition to the requirements of the agricultural associations and the EC organic regulations, they also meet the stricter requirements of the US National Organic Program (NOP) for the production of organic milk. Gläserne Molkerei was founded in 2001, achieves sales worth about EUR 90 million from its two sites and employs 100 people. The approximately 100 million litres of milk processed come largely from Northeast Germany, and in particular Mecklenburg-Vorpommern, Brandenburg, Schleswig-Holstein and Saxony. Gläserne Molkerei sells its products primarily via German specialist organic retailers and selected retail chains. It also supplies processors in the organic foods segment. Natural, sustainable products are a major trend in the dairy business which Emmi wants to take even better account of in the future. Since its beginning, Gläserne Molkerei has a track record as an innovative, state-of-the-art company with considerable potential. Emmi will support Gläserne Molkerei in its further expansion. The companies will collaborate closely in areas with considerable scope for synergies, for example logistics or building up international marketing expertise in the growing market for organic products. Conclusion of the agreement is subject to approval by the relevant competition authorities. The parties have agreed not to disclose the purchase price. Emmi is the largest Swiss milk processor and one of the most innovative premium dairies in Europe. In Switzerland, the company focuses on the development, production and marketing of a full range of dairy and fresh products as well as the production, ageing and trade of primarily Swiss cheeses. Outside Switzerland, Emmi concentrates on brand concepts and specialities in established European and North American markets, and increasingly in emerging markets outside of Europe. The primary focus in fresh products is on lifestyle, convenience and health products. In the cheese business, Emmi positions itself as the leading company worldwide for Swiss cheese. Emmi’s customers are the retail trade, the hospitality and food service sector and the food industry. In 2013, Emmi posted net sales of CHF 3,298 million and a net profit adjusted for non-recurring effects of CHF 98 million. In the first half of 2014, the company achieved net sales of CHF 1,625 million and net profit (adjusted) of CHF 45 million. As of 30 June 2014, the company employed more than 5,266 people (full-time equivalents) in Switzerland and abroad.